"I can tell you nothing about Dark Knight Rises, seriously … I was on set for maybe an hour-and-a-half and the director didn’t tell me anything of what it’s about … So, I’m being very honest when I say I have no idea what’s going to happen." This quote comes directly from Liam Neeson himself in a recent interview with Showbiz Spy. He doesn't exactly confirm he is or isn't in The Dark Knight Rises, but rumors had suggested that he was in the movie. 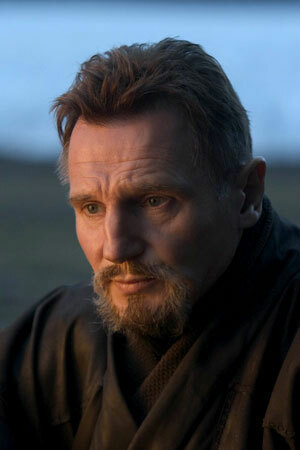 Maybe Ra's Al Ghul returns or maybe he doesn't. Maye Neeson is throwing everyone off by adding fuel to the fire. We have until July to find out!